Our enterprise is a reliable and trustworthy name, engaged in offering our clients a wide range of Cable Raceways. To retain our goodwill in clients' consideration, we are manufacturing and supplying an excellent range of Floor Raceways. We manufacture Raceway Tray For Schools that are widely used to protect, route and organize cables. These are available in very reasonable rates. These are designed as per requirement of buyers. 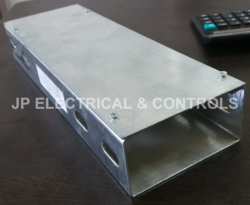 Horizontal bend –raceways are mainly use with combination with straight type raceway to route the data cable / power cable in 90 degree where two wall are conjoining, our product design allow the cable to route properly and chamfer of bend take care of cable not to worn out, peel off or get damage while laying of cable. 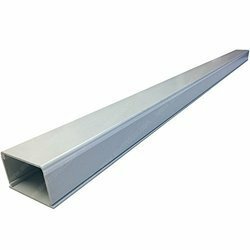 The cable Raceways that we manufacture are extensively used in IT industries, These cable race way are use to carry networking cable and are available in two way that are floor Raceways and ceiling raceways. The floor raceways come with dividers that are used to separate that cables.The covers are present in two forms either welded type or screw type.